Character Coach Amanda Lambert has a long history with cheerleading. As a former Queen Anne’s County High School and York College of Pennsylvania Cheerleader, Amanda knew that when she returned home from college she wanted to be involved with the sport. 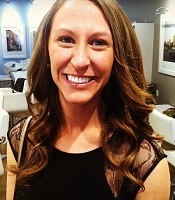 Amanda started coaching cheerleading for Kent County Pop Warner as a volunteer and worked with the organization for 3 years. While she enjoyed working with the younger athletes immensely, she always hoped for a chance to work with an older more experienced group of girls. When the position for a Head Cheerleading Coach opened up at Kent County High School she immediately applied. This is Amanda’s first year coaching at KCHS and so far the team has had a very productive Fall Season. The team’s goal is to build the program and develop their skills and abilities as athletes so that they may become a competitive cheerleading team by Fall of 2014. Amanda has wholeheartedly accepted the challenge of building a winning program for KCHS. While she started off this season with only half of the team returning from the previous year, Amanda and her team have already made significant improvement and continue to work hard everyday to reach their goals. 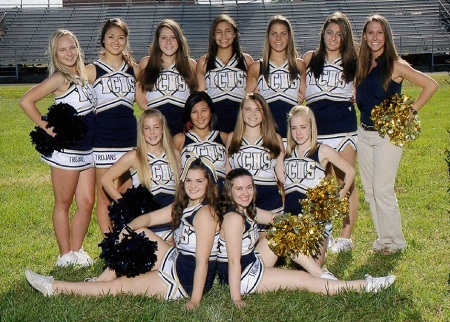 The KCHS Cheerleading team will cheer for both KCHS Football and Men’s Basketball this year, come out and watch them!